This is the Collier Home, at 1224 Taylor Street. 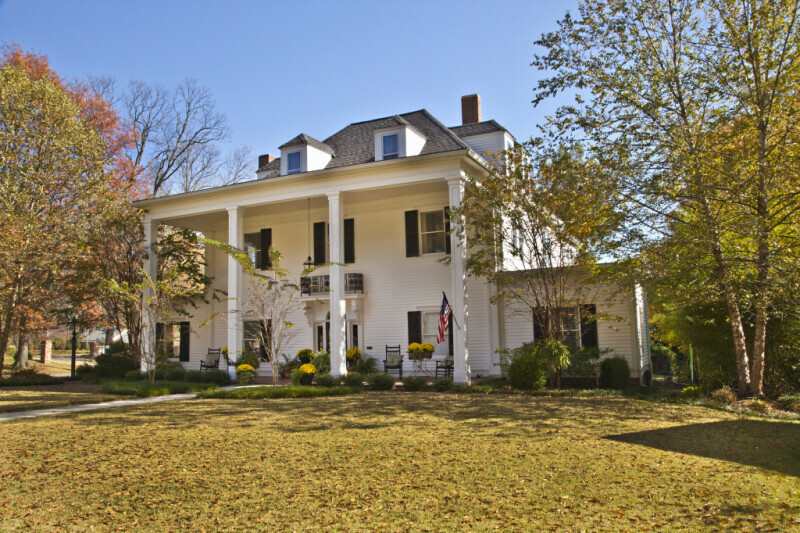 This house was built in 1906, in the Greek Revival style, for J. Howard Collier Sr. The house was acquired by J. Arthur Ledbetter, who sold it Harry Lee and Margret Weaver Williams, in 1940. There are four hipped dormers on the roof; two of the dormers face the front, and two face the side of the house. The rectangular bay, on the side elevation, was a later addition to the house.